We normally require an honours degree of 2:2 or above. We welcome applications from students without the conventional entrance requirements but who do have substantial relevant work or other experience and whose motivation and skills would enable them to succeed on the course. This course mainly focuses on UK policy and practice, and it may therefore be less suitable for international students intending to return to work in their home countries. Planning offers the opportunity for a fascinating career in a field where there is currently a shortage of qualified professionals. This course offers postgraduates the opportunity to gain the required RTPI (Royal Town Planning Institute) accredited qualification at a long-established centre of recognised teaching excellence in this field. This is an intensive postgraduate conversion course. 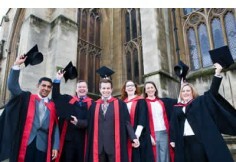 The Master's degree comprises 180 credits, and may be completed in 12 months full time or 24 months part time. The MA is recognised by the RTPI as a 'Combined Planning Programme' and it meets all the academic requirements for Corporate Membership (MRTPI). The Postgraduate Diploma is recognised by the RTPI as a 'Spatial Planning Programme' and meets the academic requirements for membership if you have also got an RTPI recognised 'Specialist Planning' Master's. There are a number of generous ODPM (Office of the Deputy Prime Minister) bursaries for full-time students on this course - see below. Manage the competing uses for space to create places that are valued and have identity. Integrate and mediate between the often conflicting objectives of economic development, social justice and inclusion, environmental integrity and integrated transport. Consider issues beyond land-use, such as inequalities in health and education, energy policy, urban design and the rural economy. Aim to reduce social and spatial inequalities, and meet the expectations and aspirations of communities for greater influence over the impact of development and the quality of the environment. Planning cannot always be achieved through consensus, so clear and equitable decision making is essential. Society and Nature establishes the broad context, including the economics of land, the finance of real estate development, processes of social change and natural environmental systems. Spatial Interactions starts to consider the interventions of public policy and spatial planning, looking at activity and land use relationships. Planning and Design quality looks at intervention in pursuance of quality design. Strategic Planning and Policymaking considers the master planning of major urban areas with particular reference to the integration of transport, land use and design in a sustainable manner. The first focus of this stream, Planning Law and Decision Process, is on the process side of spatial interactions, policy making and implementation. It has a particular emphasis on development management (control) but also looks at the monitoring and 'quality control' aspects of the public policy process, including 'best value'. The second focus of the stream is in the module Theory and Philosophy of Spatial Planning, which examines the nature of, and justification for, spatial planning. What sort of activity is it (or ought it to be) and is the state justified in such intervention, and if so, what should be the main aims or purposes of spatial planning? This stream helps place the other modules into the context of planning theory and philosophy, because (as set out in the RTPI Policy Statement) 'an understanding of spatial planning should consider planning as an activity of society' seeking to balance various policy objectives such as equity, environmental quality and individual and market aspirations. The majority of assessment is by coursework, but there are also some examinations. Overall assessment is by credit for each module, so flexible patterns of studying can be arranged. 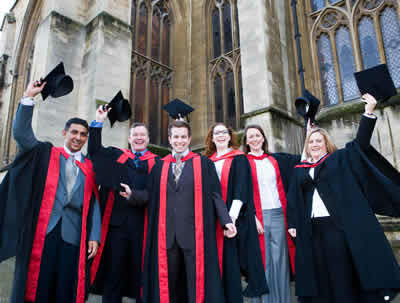 Full-time students attend classes for two whole days each week during term time over one year. With tutoring, reading and cross-faculty lectures on top of this, you should realistically expect to be occupied all week with your studies. Full time students will find it hard to combine study with paid work. All students are required to attend the two-day induction sessions at the start of the course. Both full and part-time students will spend the summer term working on their dissertations. Part-time students attend classes for two whole days a fortnight during term over two years. It is possible to switch your mode of study if your circumstances or commitments change. Five of the modules include a project. These are designed to integrate the wide range of subject matter and professional skills within the module, and with the content of other modules as appropriate. The projects address spatial planning at different scales, from strategic down to small or local area. The order in which the modules are studied ensures that you can draw on the knowledge and skills from other modules as appropriate to the project. In the first part of the course, you will undertake projects dealing with a mixed use urban development proposal, small area/scale design and the development control process for an individual site proposal. In the second part, projects will focus on the strategic scale of a town or city and its rural hinterland and a city/major urban centre. All projects require you to be aware of the links between context, policy making, implementation and evaluation. However, some of the projects put greater emphasis on the process and implementation of planning (for example in Planning Law and Decision Process). While others have a stronger emphasis on policy making (for example in Planning and Design Quality) or evaluation (for example, in the module Strategic Planning and Policy Making). Modules are regularly reviewed to ensure that they remain up to date and relevant, so some of them may change before the course starts or whilst you are on it, but the overall aims and broad content of the course will remain the same. You may also use the well equipped laboratories for concrete and environmental services, environmental physics, earth sciences, spatial analysis (including mapping and Geographical Information Systems) and surveying technology, each with specialist technicians supporting both teaching and research. An audio-visual group provides support for photography, digital imaging, filming and sound recording. The Bristol Planning Law and Policy Conference is an important event for planners and lawyers practising in planning law. The organising committee, which comprises the UWE Short Course Programme and the firms Clarke Willmott, Terence O’Rourke, Bryan Smith Associates and King Sturge, have decided to offer a limited number of free places for people who are strongly motivated to attend the conference, but because they are currently studying or have other financial difficulties are unable to attend unless financial assistance is available. If you would like to be considered for a free place, please write to Sandra Manley, Short Course Director, Faculty of Environment and Technology, Bristol UWE, Frenchay Campus, Coldharbour Lane, Bristol, BS16 1QY explaining why you would benefit from attendance at the conference and outlining your circumstances or personal commitments.